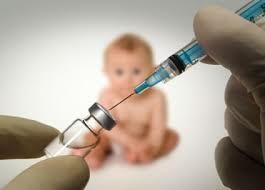 Many parents and adults believe that vaccines can lead to children having autism. My very close friend’s mother chose to not vaccinate any of her children with many of the recommended vaccines that doctors see as essential for every child. One day as I sat in my friend’s kitchen, I listened to her mother as she told me about how she ” knows people who have children with autism CAUSED by vaccines. “She truly believed that vaccinating her children would increase their chances of getting autism and I thought she was justified. As a 17 year old at the time, I had no knowledge of this matter and my friend’s mother was very convincing. I had listened to her for about a half hour as she ranted about doctors and vaccines and up until November 3rd, I had been strongly convinced that vaccines could very likely cause some kids to develop autism. When I saw the subject matter for Andrew’s class on November 3rd I was very interested about what he had to say about the very controversial subject. I thought the class would consist of stories and studies that proved that vaccines do indeed sometimes lead to autism. I was wrong. The reason I came to the 1st conclusion is purely because of what I learned in class. 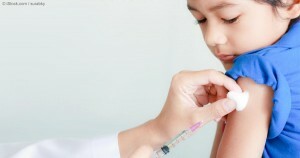 Of course vaccines are not safe (as nothing is truly safe), however, with today’s technology and medicine, vaccines might as well be labeled as safe. Just because some children develop autism a certain amount of time after a vaccine does NOT mean that the vaccine caused the autism. CORRELATION DOES NOT EQUAL CAUSATION!! My second conclusion comes from the conversation I had with my friend’s mother. Just because she was an adult was enough for me to be totally convinced by her opinion. As I sat in science class I thought about how easy it was to sway my opinion and how I should start to have my own opinion. I felt kind of stupid that I considered not vaccinating my children in the future based off of one conversation I had with one person where I did a lot more listening than talking. I’m sure in the future I would have heard more about this subject but Andrew’s class really opened my eyes that day to how I should take people’s opinions with a grain of slat. (Especially the opinions of whom are not professionals). This entry was posted in Uncategorized on December 5, 2016 by Justine Arlexandra Cardone. Arlexandra — Well, this is a GREAT story. I am going to use it in future classes. The power of the anecdote and all that. Vaccinate those kids of yours. They’ll thank you for it. But most importantly of all, keep questioning. The world is richer and better for you (and often safer) when you do.